Many of you know that I graduated from Michigan State College of Veterinary Medicine on June 12th 1982. What you probably do not know is that it was 20 years to the day, in 1962, that my father (the first Dr.Wennersten) graduated from the same school. I was very young when my father was attending classes in Veterinary medicine. My mother likes to tell the story of the day my father took me to school with him. She went looking for me later on that day figuring I had been enough of a helper and found me half inside a cow. The Doctors were doing an autopsy on the cow and were just working around me. Becoming a Veterinarian was destiny. I joined my father’s practice after graduating where we worked in a very small brick building located just to the west of our present practice location. We had just one employee, Jan Mastenbrook, who retired after 25 years of dedicated service to the clinic. My father built the building at our current location in 1996 and I took over the business in 2000. God has blessed me greatly as my father is still able to help in the office one day a week. As some of you may know, my innermost passion is travel. I rarely take a vacation but have traveled to many exotic lands to perform mission work. Kenya has been a frequent destination because my dearest friends, Bill and Carolyn Overway, were schoolmasters there. I have spayed or neutered most of the animals around the village at one time or another. I have vaccinated dogs and cats for rabies and have performed several autopsies. I have taught in the school and pitched in wherever I was needed. My mission work has also taken me to South Africa, India, Bangladesh and most recently Honduras (a much shorter trip). Most of the work has been through Partners for Worldwide which pairs entrepreneurs from these third world countries with a business mentor here in the States. It is a variation of the “give a man a fish” story. I live with 3 dogs, two cats, a parade of transient animals and my perpetual (15 year) fiancé. 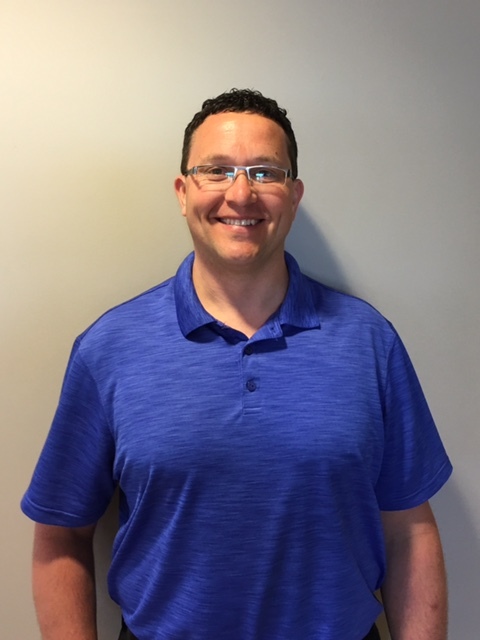 Chad Ackerman graduated from Michigan State University College of Veterinary Medicine in 2000 and most recently joined our team in September of 2016. Prior to this, he worked at Hamilton Veterinary Clinic for 10 years. He originally became a Veterinarian because he loved spending time on his relative's farm and had an interest in practicing as a Large Animal Veterinarian. The first 6 years of his career Chad was a dairy practitioner, but over time he fell in love with the "small" animals. He says, "I love the bond people have with their pets and enjoy seeing how much this bond benefits both the owner and the pet". He enjoys being a Veterinarian because of the variety of interesting cases he treats and the challenges they present. He is especially intrigued by the difficult internal medicine cases and also has a passion for dentistry. Chad has served our profession in a variety of ways though his involvement with the West Michigan Veterinary Medical Association as their former secretary, vice-president and president. Currently he is serving his second term as a board member of the Michigan Veterinary Medical Association. In his spare time, he and his beautiful wife Laura enjoy being with family, boating, spending a relaxing day at the lake and traveling. Thomas R. Munro is one of our Staff Veterinarian’s. Dr. Tom credits his career path to his father, who was also a practicing veterinarian. He vividly remembers helping his father often while growing up. 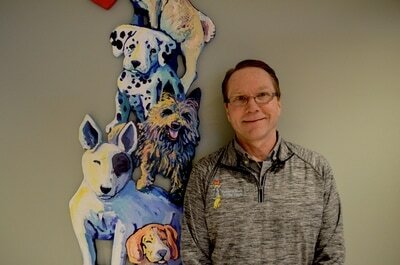 Having graduated from Michigan State University with a Bachelors of Science in 1979, and a Doctorate of Veterinary Medicine in 1982, Dr. Tom came to be a part of our staff in January of 1996. His favorite part of his job here at the clinic is self admittedly working on interesting surgical cases. When he’s not hard at work at the clinic, he enjoys spending time with his loving family and chasing around his grand-children. Of course, during the summer months you can find him fishing while listening to Tiger Baseball, golfing, or modeling electric trains! As one of our skilled licensed veterinary technicians, most of clients (and patients) will recognize Tyler Kamer! As a graduate of Baker College of Muskegon, he’s been with us here at Robbins Road since 2009. Tyler received his Bachelor’s in Business Administration from Aquinas College in 2015. He and his wife, Julie, have three beautiful daughters, and two dogs, Chloe and Bella. He says his favorite part about the job is assisting the doctors during surgical procedures, and monitoring animals while they are under anesthesia. He loves that there is something new to see every single day! 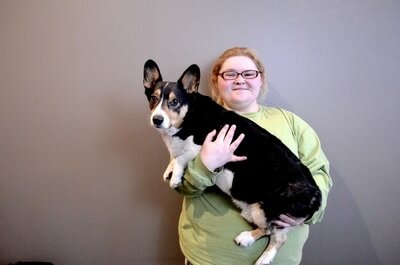 Christi started as a licensed veterinary technician with us in April 2013, and we love having her around! We scooped her up from Sandford-Brown before the ink on her diploma could dry! She loves the at home atmosphere here at RRAC, and she has always wanted to work in a health field. 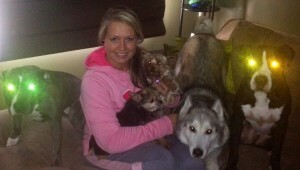 She’s always loved animals, which is obvious when you see her pack of pups at home! 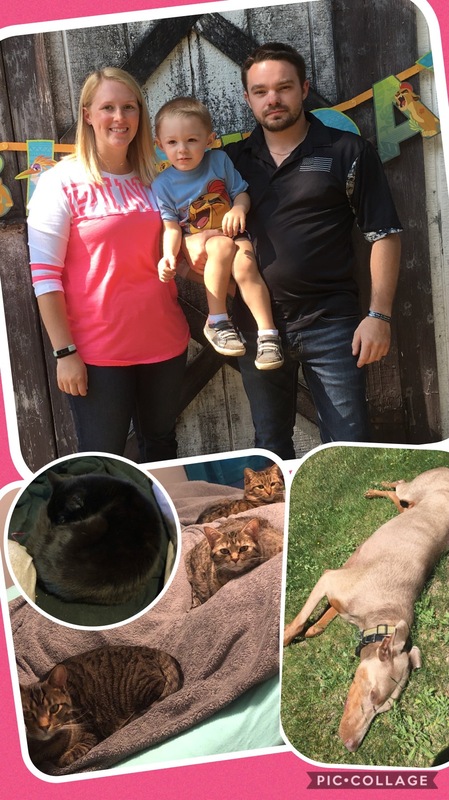 “Working in veterinary medicine gives me a chance to help those who cannot help themselves.” When Christi manages to find some free time, she likes to spend it with her husband Bobby, who has been her sweetheart since high school. 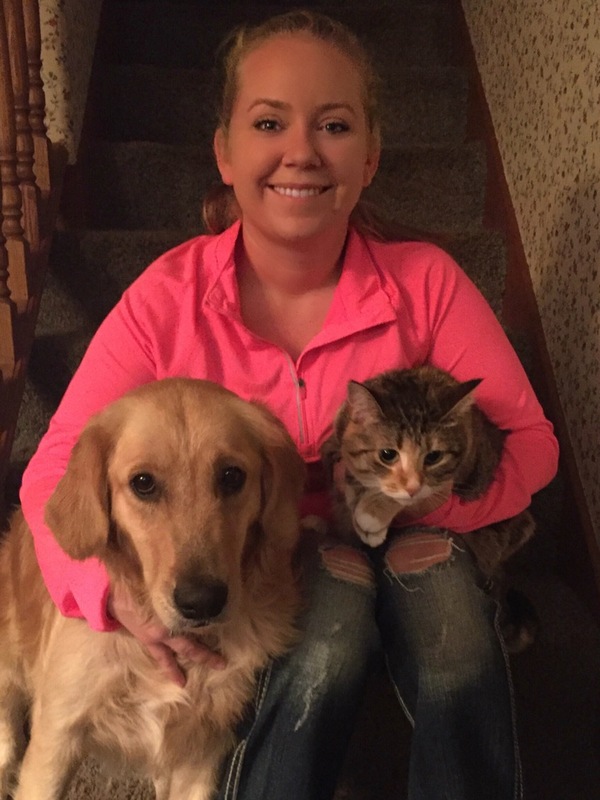 Hope started working with us at Robbins Road Animal Clinic in August 2016 after graduating from Baker College of Muskegon with an Associated of Applied Science in June 2015. Since school Hope has worked at a local farm and at a big cat sanctuary in Texas. Working with dogs, cats, and their owners is a large part of why Hope chose to become a Licensed Veterinary Technician. At home, Hope has a dog, Elsa, a cat, Perla, and a bunny, Sperry. In her spare time, Hope enjoys taking hikes, going to the beach, taking Elsa to dog parks, camping, kayaking, and traveling. 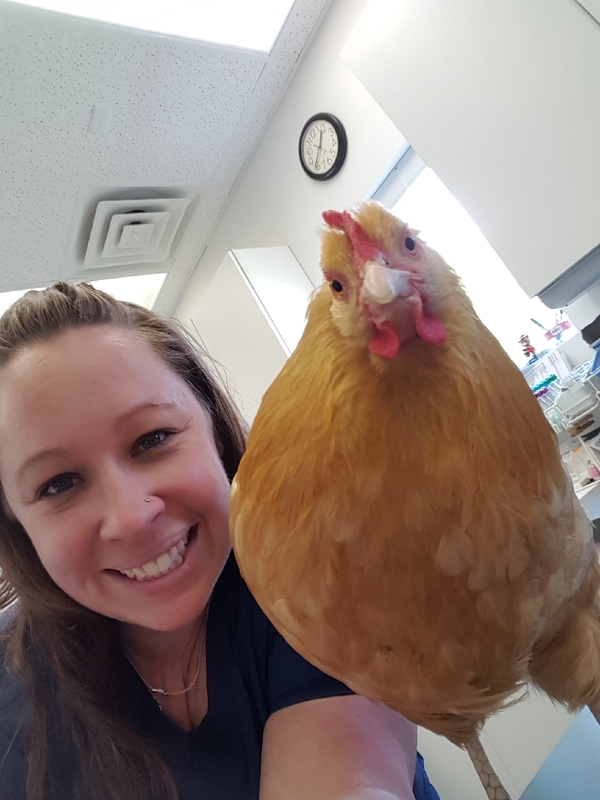 Karla is an LVT who started working at Robbins Road Animal Clinic in 2018. She graduated from MSU College of Veterinary Medicine in 2010. She enjoys spending time with her husband and son. She has two cats, Tracks and Akasha, also a gaggle of chickens with herb and flower themed names. 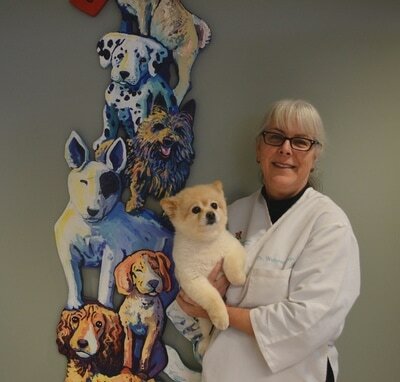 She enjoys anesthesia, dentistry and watching the special bond between animal and their owners. 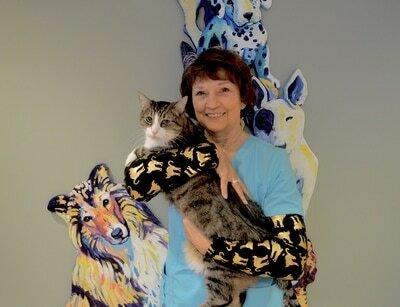 Gloria Long absolutely loves working with animals! 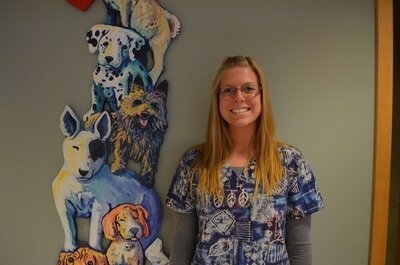 She started back in 2008 as a veterinary assistant, and she absolutely loves the work she does! When she can find the strength to pull herself away from playing with puppies and cuddling kittens, you can find her curled up at home with a good book and her own little white puddy tat. During the summer months you can find Gloria and her husband cruising around on their motorcycle, or attending Christian motorcycle association events. Alexis came to Robbins Road Animal Clinic through the Careerline Tech Center's Environmental and Agricultural Science internship program in November of 2014. After graduating from Grand Haven High School in 2015, Alexis continued to volunteer at the clinic until she was hired on staff in February of 2016. 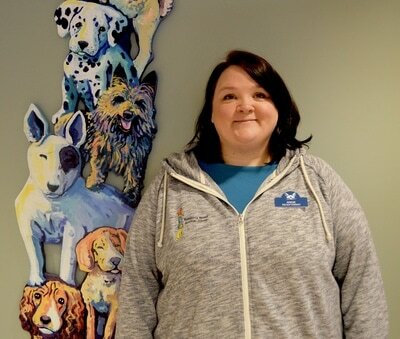 Alexis has always wanted to work in a veterinarian hospital and is so excited to have the opportunity to work here at Robbins Road Animal Clinic. She grew up with animals and has always had a passion, obsession if you will, for furry or feathered animals. When Alexis is not working, you can find her at her little farm tending to the chickens, turkey, duck, and rabbits, hitting up the trails with her two horses, or cuddling up with her three cats and two dogs. Nicole Klempel, simply put, is here for the love of the animals. Nicole is a pivotal part here in our office. She’s been a receptionist with us since 1995! When she was a little girl, her love of animals made the idea of working in a veterinary clinic ideal. 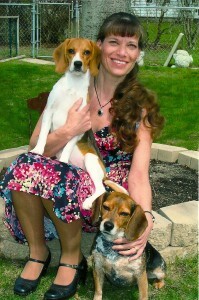 Her love of animals can be narrowed down to one near obsession: Beagles! Only marginally biased, at home she has two of the BEST Beagles in the world! And why wouldn’t they be? They are definitely her fur children. When she isn’t working, collecting Beagle trinkets, or out and about with her bow-wow duo, you’ll most likely find her sifting through the racks at the area thrift stores. Nicole just can’t turn down a great find! Amber joined the team in June of 2016. She has been working in the veterinary field since 2008 and has dealt with animal emergency situations and veterinary care. Amber enjoys making client's visits memorable and easy going. Outside of Robbins Road Animal Clinic, you will find Amber spending time with her two daughters and her rescue bengal cat, Damon. 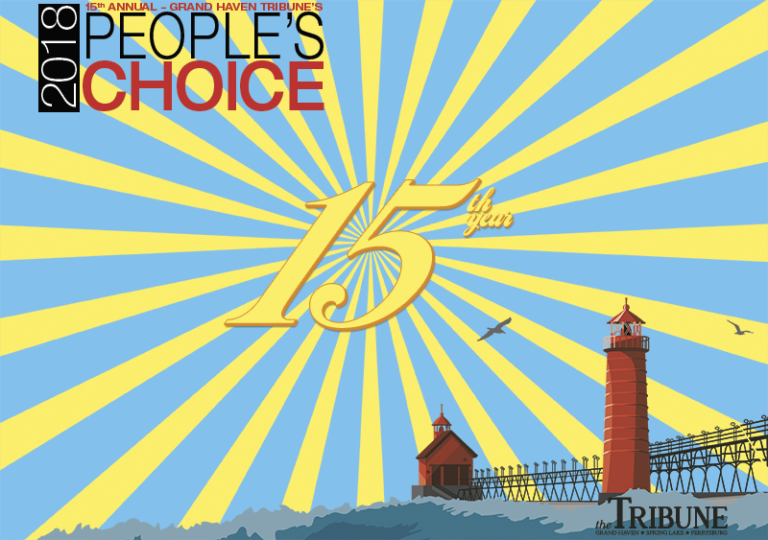 She is born and raised in Grand Haven and loves nothing more than partaking in the lake shore activities! When she is not participating in local activities, you will find her at home baking for her co-workers, friends, and family. Angie joined RRAC in the summer of 2016 as a receptionist. She graduated from Central Michigan University in 2000 with a degree in management and marketing. After substitute teaching in Muskegon for a year, she moved to Japan to teach conversational English. Angie moved back to the Fruitport area in 2010 where she started a small woodworking business with her father. 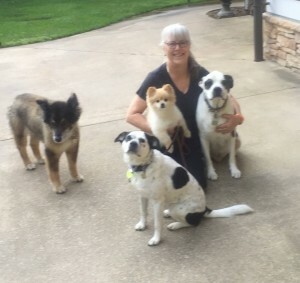 In her free time, Angie spends time with her dog, Steeler Joe, cat, Daisy, and 19 yard birds. Danielle starting working for RRAC as a receptionist in January of 2018. I married my high school sweet heart Darek in 2010. We have a 3 1/2 year old son Zayn. We have a house full of pets which includes a Doberman Rosko and our four cats, Missy, Lily, Roxy and Shadow. Zayn has a pet craw fish and a aquarium of fish. I coach my sisters softball team and enjoy horseback riding and archery. As a family we enjoy camping, fishing, paint-balling ,motorcycle rides and bon fires. I graduated from Baker College with a bachelors degree in business management. Tori Higgins came to us in 2010 through a student internship program offered by Grand Haven High School. She graduated in 2012, and has been working with us part-time ever since! Tori chose to take part in the internship program because of her love of animals, and her love and willingness to help furry, feathered, hoofed and scaled critters in need. She’s a sucker for rehabilitating injured or sick animals, young and old. Now that she’s graduated, in her free time she keeps busy with 4H programs, and loves horse back riding with her horse Zane. She also uses her horse to help mentor mentally and physically disabled children, adults and at risk teenagers, and is considering a career in Equine Reproduction when she gets older. She trained her Pembroke Welsh Corgi, Gremlin, to be a service dog, and she jokes that her cat seems to be the only feline in the world with a hunger for dryer sheets…her name is Lunatic!